President Trump held a listening session with school shooting survivors and parents at the White House Wednesday. WASHINGTON (CNN) - President Donald Trump's aides and outside allies are attempting to convince him that he has done enough when it comes to proposing gun safety measures in the wake of the Florida high school shooting, assuring him he doesn't need to go any further, a source inside the White House and a source outside tell CNN. These people fear the President will be ensnared by emotional cable news appearances and arguments from gun control advocates into going too far --- all at the risk of antagonizing his pro-gun base. 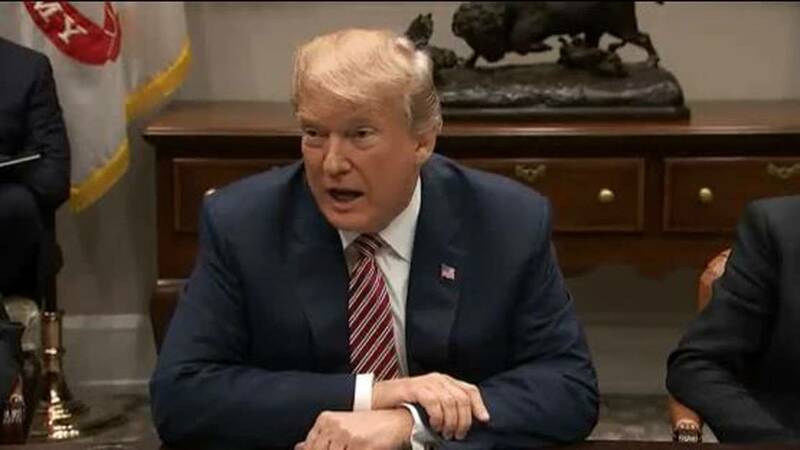 Trump has called for raising the minimum age to purchase a firearm to 21, a proposal the National Rifle Association has rejected. The President was moved by the appearances of shooting survivors that were blanketing cable news, and even more so after meeting with several survivors at the White House this week, a source familiar with his thinking said. "We're going to do something about this horrible situation that's going on, and we're going to all figure it out together," Trump said during a listening session with school shooting survivors and parents at the White House Wednesday. "I want to listen. And then after I listen, we're going to get things done."